It’s sad when your best and more memorable performance in a comedy starring a few big names is Channing Tatum. 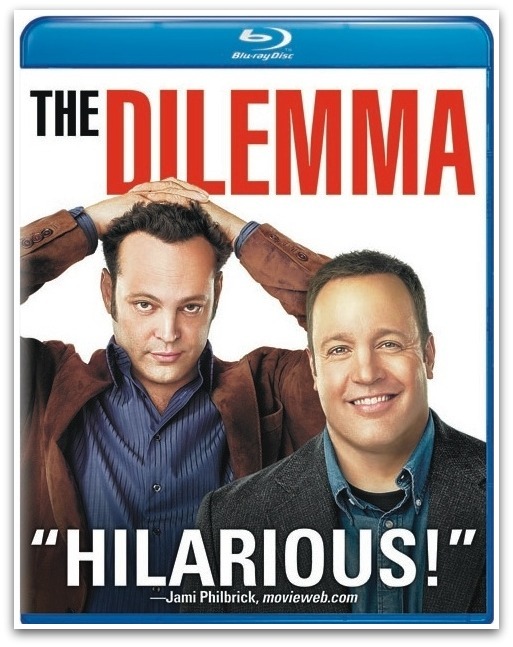 That being said this movie really shows that Vince Vaughn’s movie career is really gone down. The story in this is extremely generic. A man finds his best friends girl having a affair and what ensues is him contemplating what to do, investigating, and generally just overacting to a situation. The story remains cliche and follows a clearly obvious path. The so called comedy is mainly when Channing Tatum is on screen as the junkie oddball who the affair is happening with. His character easily carries the scenes. Vaughn on the other hand plays the same loud, lazy, and just uninteresting character he always as. Kevin James too plays the same guy he always does but since he plays the back role to Vaughn I’ll let him pass in this one. One of the biggest draw backs in my mind for this is the fact that Winona Ryder is in this. I absolutely hate her character. She plays almost the exact same role she did in Mr.Deeds and the scene in the end of this movie where she is crying made me want to knock her out almost. There is just something about her that I can’t stand, it might just be her horrible acting skills though. Jennifer Connelly though is beautiful and does the small part she has well. I rarely if ever found myself laughing during this even with it all being filmed in Chicago. I also wanted to point out how even though they may not be plot holes this film has enough questionable plot decisions makes me think that no one put to much effort into it. That may be why this movie has been generally given low scores. Overall there are better comedies to watch starring everyone in this movie so just watch those instead.